Legacy of Discord has taken the action RPG genre to the next level! We are ready to unveil two exciting new features and a new language - Chinese. More than 10 languages will be added gradually to make LoD more accessible to players around the world. Crafted from the remains of Vizier the Void Terror, Twilight is an 8-piece set that represents the ultimate evolution of equipment. On top of it’s amazing visual effects and details, the most unique aspect of the Twilight Set is it’s Twilight Aura, an effect that can absorb the light from others! Unlock the Twilight Aura and watch as other characters around you temporarily lose their special visual effects, for any equipment in the presence of a Twilight wearer is automatically suppressed by it’s overwhelming power. But getting your hands on the Twilight Set is just the beginning. There are two ways to enhance your Twilight Set. One is through upgrading the level and the other is by infusing. Each piece of the Twilight Set can be upgraded, and a fully upgraded set is a true force to be reckoned with. Additional attribute bonuses can also be unlocked after upgrading them to specific levels. The second method is through Infuse. Infusing the Twilight Set pieces will increase their attributes by a percentage, so the higher the base, the greater the bonus. More importantly, each set piece must be infused to a certain level before they can be equipped (other than ring and necklace). The other new feature coming to Legacy of Discord is the Shadow Realm, an all new solo and team dungeon where players can take on new challenges to obtain resources to upgrade the Twilight Set. 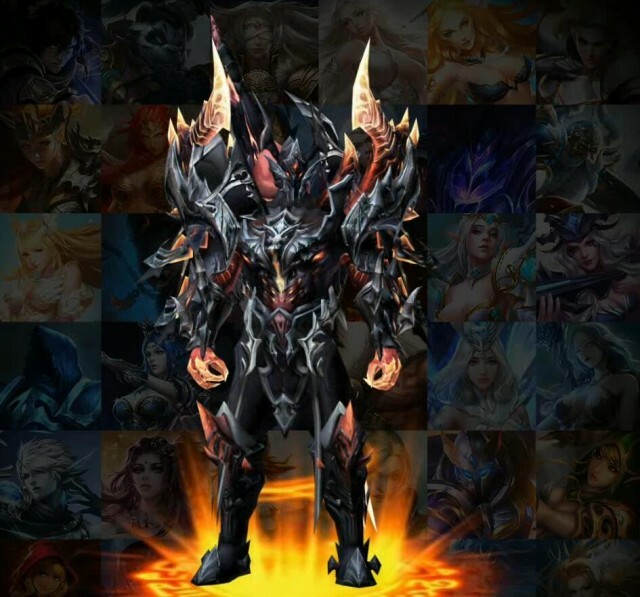 In the solo version of Shadow Realm, players must complete 5 normal stages and a boss stage. Normal stages will drop Dark Sigils while Boss stages will drop Cursed Stones, used for upgrading and infusing the Twilight Set, respectively. The team aspect of Shadow Realm is divided into the Dark Realm and the Light Realm. In the Dark Realm, a team of up to 5 players can join together to complete the dungeons. In the Light Realm also a team of up to 5 players, however only the team leader pays the cost of entry for the entire team, and in return they get substantially greater rewards. The team dungeons are significantly harder than the solo dungeon, but also offer far greater rewards. 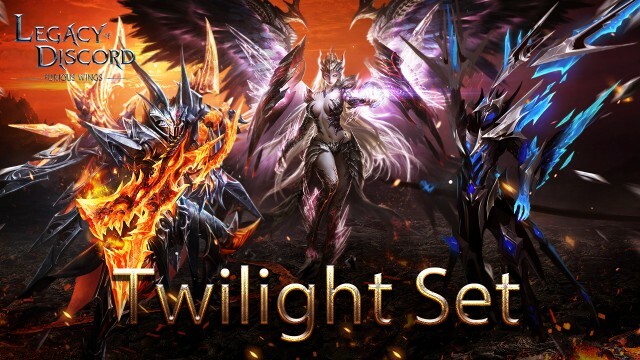 Gather the Twilight Set and show off your undeniable dominance! Conquer the Shadow Realm and claim its vast riches! Play Legacy of Discord now for free and experience all new content as you hack, slash, and blast your way through a gorgeous fantasy world filled with epic bosses and endless loot! Download and play Legacy of Discord now, absolutely free, and test your skills in a variety of PvE modes such as Story Campaign, Boss Challenges, Trials, and more. If you can’t do it alone, invite friends for some co-op action! If PvP is your calling, take on rivals in the Arena or engage in large-scale PvP battlegrounds like Guild War; best of all, it’s all in real-time!